It's winter. The holidays are over. You don't have a lot of money to take a week-long vacation. BUT, you are looking for a day or weekend trip to break the cabin fever your family is feeling. I partnered with the Bowling Green CVB to find out what the city has to offer. 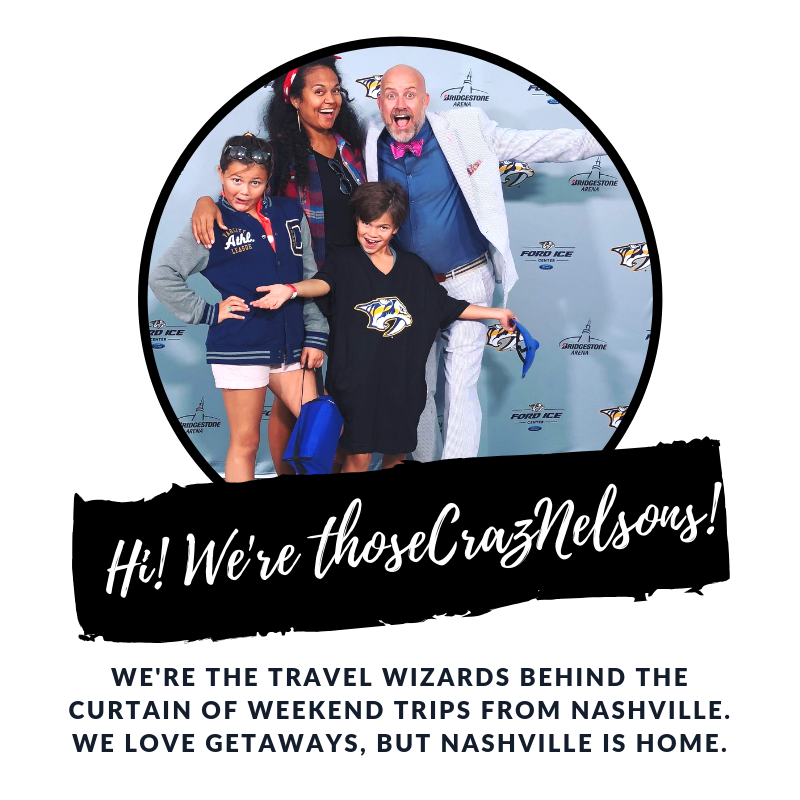 Located just an hour from downtown Nashville, I was hoping this city would help us (you and me) punch winter in the face with a getaway full of family fun. Bus ride to the cave entrance. Make time for the cave museum before or after your tour. A briefing from our friendly ranger. Have you seen the world's longest cave? USA Today Travel ranked Mammoth Cave as one of the top 25 coolest places in the USA to visit with kids. With over 405 miles of caves, that's Bowling Green to Atlanta if laid edge to edge, it is amazing to uncover how this natural wonder was formed. This is my favorite type of family getaway-- outdoorsy, awe-inspiring, and full of learning. What's better than an adventure that also makes you smarter? There are a variety of tours, with varying lengths and level of difficulty. It's important that you call ahead prior to your trip to purchase tickets for a specific tour time. Tours fill up quickly. I have known families who made the long drive out, only to discover all tour times were booked. Due to heavy rain, the cave was closed for tours on the day we went. Though not as large as Mammoth Cave, you could spend hours in this location. In addition to cave tours, there is a natural playground with mock cave crawls, trails, and a zip line park (opening later in 2017!). Admission to this attraction is FREE; the only thing you pay for is the cave tour (and zip line area after it opens). It's important to check the website for weather conditions prior to visiting this park. If it's raining, rising water could close down tours for multiple days. For an extra fun family adventure, you may want to check out their private kayak cave tours. Good for beginner and advanced kayakers alike, ages 6 and above, this family experience would be one your kids remember forever! Driving a train at 6yrs? Lucky guy. Walking through an old, restored locomotive was a highlight of the Bowling Green trip for me. Seeing how people traveled in the past, learning how working conditions were for black porters, and reading the self-guided exhibits emphasized the richness of rail travel in the history of the United States. 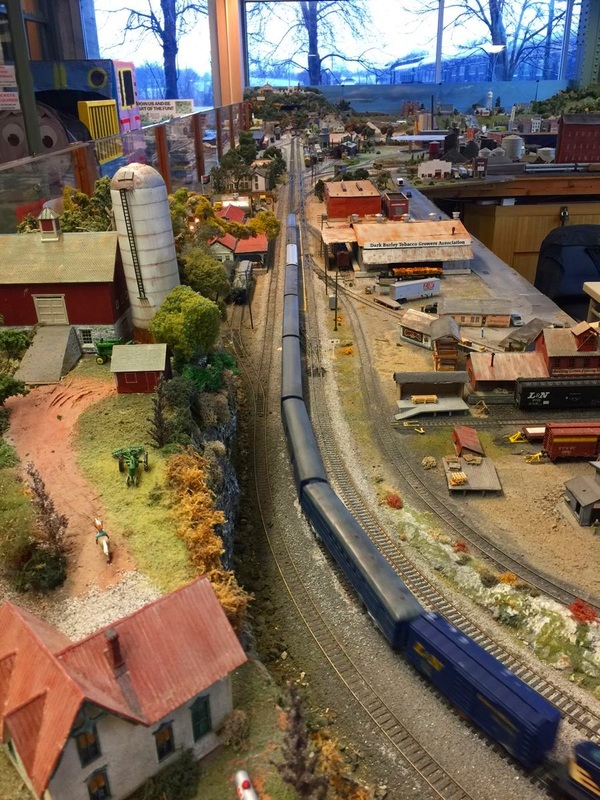 If you have kids who are fascinated by trains, or if you enjoy a hands-on experience when it comes to museums, I highly recommend adding this activity to your itinerary. There are established tour times, so you'll want to check the website ahead of time to plan accordingly. A store with a B&B on top. Walk around the town square and explore the quaint storefronts, like an art gallery, cigar shop, candle shop, and chocolate store! Located adjacent to the square is the campus of Western Kentucky University. Drive by and take a look at the historic campus buildings sitting atop the hill. This town is on the map because of it's Corvette Museum! The exclusive home of Corvette for over 30 years, GM has produced America's sports car here since 1981. If seeing sleek and sporty cars of all ages excites you, or if you have little ones who like fancy, fast Hot Wheels, you should plan on spending some time here. Located at the Historic Railpark, the Caboose Crash and Mercy Train are two immersive escape game rooms on actual train cars. Designed for groups of 4-10 people, the challenge is to escape from a room in less than 60 minutes. I dubbed this activity a luxury option because of the cost associated with the experience. A company called, EHot Air.com offers balloon rides twice a day 7 days/week. Read here for more info. Up next: the Bowling Green CVB invites us to eat at some cool places around town. See what's on the menu!